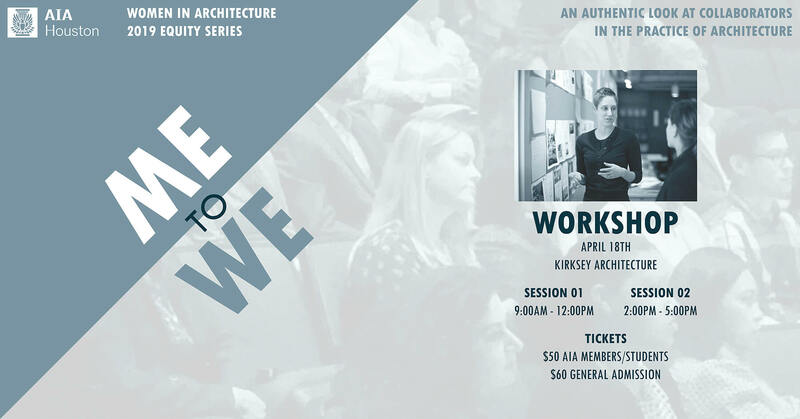 Next month, Payette’s Director of Creative Engagement Karen Robichaud will be leading a workshop during the Women in Architecture Houston’s 2019 Equity Series Event. The discussion will focus on the perceptions and barriers to collaboration within the AEC community and explore how to effectively value and implement collaboration at all levels of leadership. Collaboration. Partnership. Collective. Culture Shift. Agents of Change. Rethinking what collaboration looks and feels like within the AEC community isn’t the responsibility of one person and it doesn’t happen overnight. In order to shift our thinking and how we work, we need a culture change – in our firms and in the broader AEC community. For that, we need agents of change empowered to provoke a new way of working. In the Me to We Workshop, we will build on the conversation from the Equity Series Panel Discussion and translate ideas into action. In this hands on workshop, we will discuss the perception of and barriers to collaboration within the AEC community and explore how to effectively value and implement collaboration at all levels of leadership. Using real examples of changing culture, Karen Robichaud will lead an interactive dialogue wherein participants will develop the tools to provoke change in their firms and the larger AEC community.